30th July 2018, Johannesburg – Appletiser, South Africa’s home-grown lightly sparkling, apple juice brand is taking off in Spain, with new market launches set to follow across Western Europe and the Americas. The brand was acquired by the Coca-Cola Company a little over two years ago and had been successfully rolled out across Southern Africa. Spain is the first big market to launch the brand in Western Europe since The Coca-Cola Company became involved in the brand. 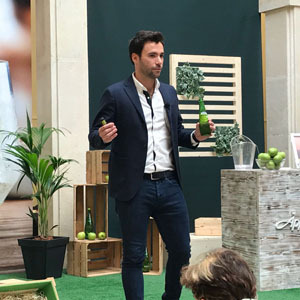 “We knew from the start that we have a very unique beverage in Appletiser, with a strong proposition: 100% fruit juice, full of flavour, and ideal for non-alcoholic drinking occasions,” says Spanish Brand Manager Óscar González Ramírez. Coca-Cola sent out over 20,000 presentation kits to the Spanish market as an introduction. As hoped, customers fell for the flavour, and Appletiser is now stocked by over 43,000 customers across the country. 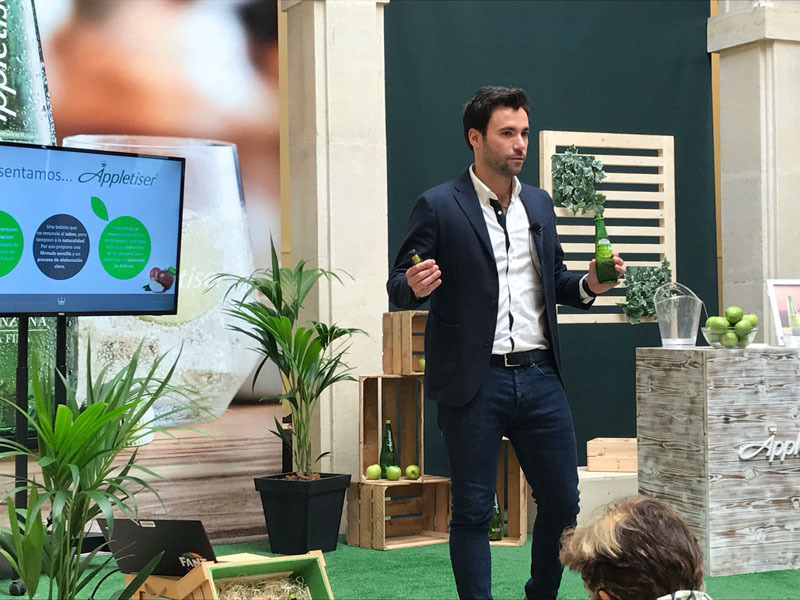 Local markets with natural foods and drinks have grown in popularity in Spain and Coca-Cola made it an objective to be at as many of these as possible, targeting men and women aged 30 and over, offering them the opportunity to try Appletiser. This helped build credibility for the brand and its story. The brand is just over 50 years old, having started in 1966 on a farm in Elgin Valley, known for its orchards which produce some of the finest fruit in South Africa. Edmond Lombardi, an apple farmer, had the vision of creating a lightly carbonated refreshing apple beverage and by combining ‘apple’ and ‘appetiser’ – Lombardi trademarked the drink as ‘Appletiser’. Today, Appletiser remains a 100% sparkling apple juice, with no added sugar. The success of the brand continues to build momentum. In 2017 Appletiser and Peartiser (made from pears) both received the Golden Stars Award for Superior Taste – the only stamp of quality in taste granted by food and drink opinion leaders that are Michelin starred Chefs and Sommeliers.